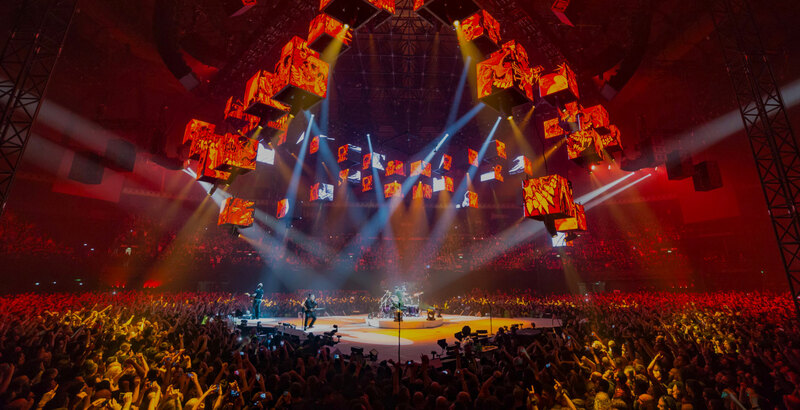 Have you seen a gig on the WorldWired tour and want the memory to last forever? Get the official audio recording of the full show or watch videos of select songs from each concert! Win the guitar played by James Hetfield OR the guitar played by Kirk Hammett during the National Anthem before the New York Yankees at San Francisco Giants game on the 7th Annual Metallica Night! Updated with information about the Second Chance drawing. Ninja Star & Load Sale! Share content and interact with our 1,256,706 Metallica fans in the official community. It’s hard to believe we have finally come to the end of this incredible journey that began way back in September 2018. I am conflicted on how to feel about that – on the one hand, it is truly sad to see this adventure end. On the other, the experiences I have had in the last seven months have been some of the best of my life, and I could never have asked for more. Metallica, the crew, Joe Sib, Jim Breuer and the Metallica Family made the last six months of my life something amazing and very special. Fan Club members get a chance to buy tickets for additional shows in Melbourne & Auckland before everyone else!